- AVAILABLE IN MEN'S RIGHT AND LEFT HAND & IN ALL LENGTHS. - FULLY ASSEMBLED AND READY TO PLAY!! Over sized Face with a Medium Profile!! This gives the club a larger "sweet-spot" For BOTH those OFF THE TEE SHOTS and also helps the club head zip through that thick "rough" or “pick” the ball up on those OFF THE FAIRWAY shots! Low Center of Gravity: Helps get the club head down to the ball on those bare or tight lies .The low center of gravity makes for high "Tour-Style" golf shots. "Railed sole" which helps keep the club face square through impact. Solid 17-4 Stainless Steel construction. THE SUGGESTED RETAIL PRICE FOR THIS IS $79.95... YOUR PRICE IS MUCH BETTER! 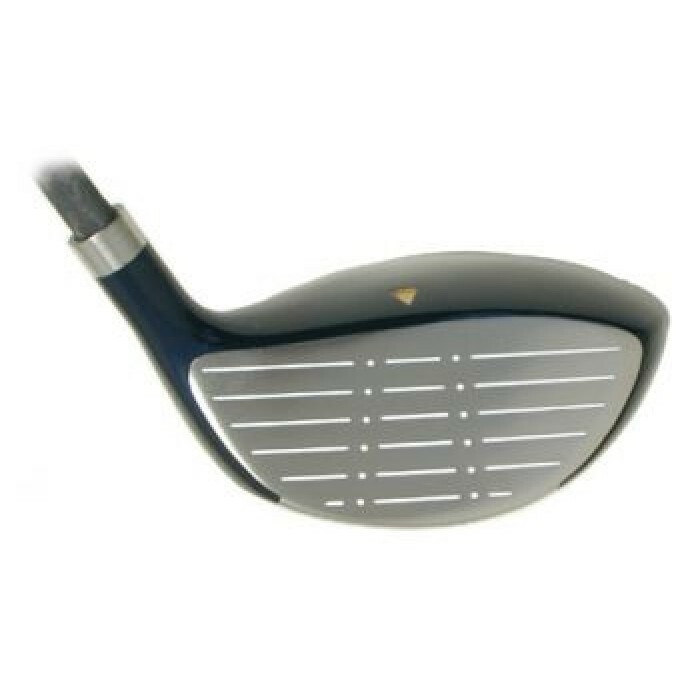 HIGH LOFT Fairway Woods have become known for the distance and loft advantage they give especially on uneven fairway shots and in low to medium rough. We all know that 2, 3 and 4 irons are difficult to hit let alone hit them well consistently! That's why more Golfers are going with Utility Woods. You will typically get better distance and LESS RISK and still be able to watch the ball land softly! There is none better for shots that have to be executed on a little less than the optimum lie. 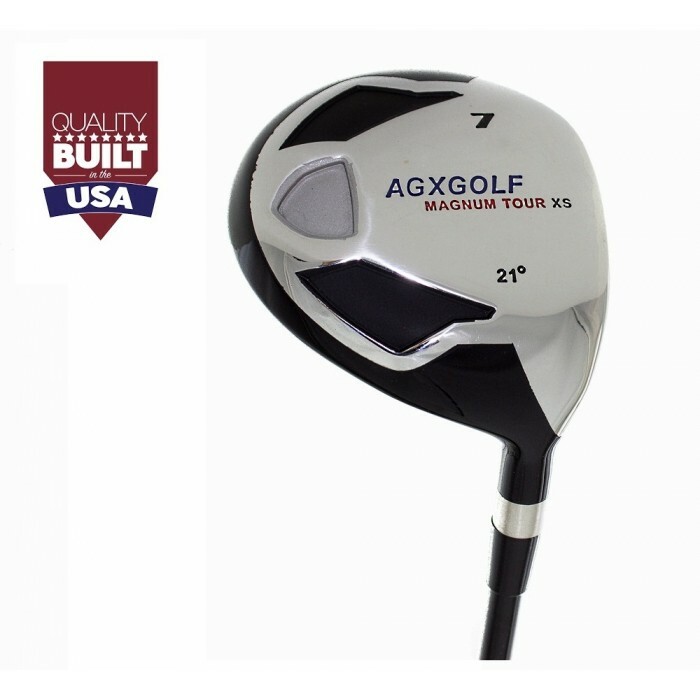 3 &4 iron can be difficult to hit, even on an optimum fairway lie shot, so get the advantage a HIGH LOFT FAIRWAY WOOD has for the "less than optimum" lie or to get the high trajectory required for a soft landing. And, don't you know, hitting a few more good shots will make your golf game that much more fun!! DON'T UNDERESTIMATE THE VALUE OF THE UTILITY WOOD!! THEY ARE WONDERFUL FOR LONGER FAIRWAY SHOTS TO THE GREEN!! Also the club of CHOICE for LONGER PAR 3s and LAY UP TEE SHOTS ESPECIALLY ONES THAT MUST CARRY OVER WATER!! These superb clubs are built in our Highland, Michigan facility. We know you will enjoy playing this fine utility wood as much as we enjoyed crafting it!! Stated Shipping cost for the U.S.A. only. Other destinations will be billed at our actual shipping cost.